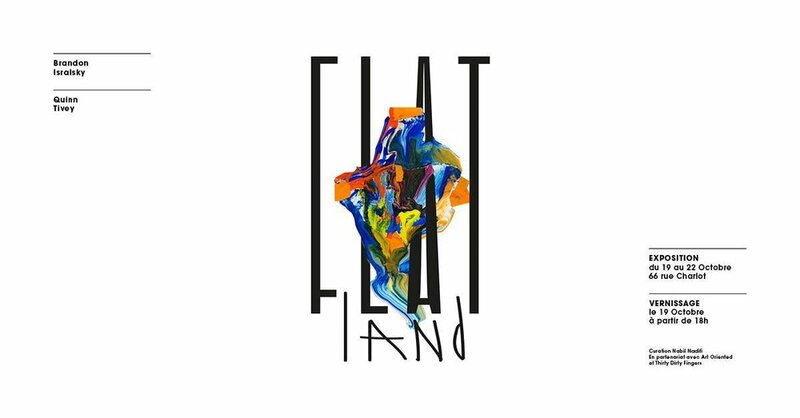 Curator Nabil Nadifi brings class of 2015 alums Brandon Isralsky and Quinn Tivey together for FLATLAND, a joint exhibition which marks the artists’ first showing in Paris and their first show together. After several successful exhibitions throughout the United States, New York and more recently in Belgium, Tivey and Isralsky attack Paris in the margins of the cultural events that will animate the capital from October 19th to the 22nd at Galerie Joseph Charlot. In spite of the distant graphic universes - the visual artist, the other street artist - the two former graduates of SVA decided to present a work on themes that are common to them. Although they are central to the Flatland exhibition, these themes are the result of the creative process of the two artists and are not intended to influence the viewer's interpretation. The exhibition acquires its title from an historical reference to a part of Brooklyn, NY, USA, home to both artists. Brandon Isralsky, AKA Mr B, is a New York based artist with a background in street art and photography. Isralsky's work is rooted in an appropriation of fashion photography, commercial photography, and pin-up art. Using a variety of interventions ranging from collaging to painting, and from destroying to enlarging, Isralsky endeavors to investigate commercial based definitions of gender roles while also examining his own relationship with masculinity and the male gaze. He installs his imagery around the streets of New York City, creating a growing body of work that is increasingly collected, commented upon, showcased and shared on social media. Image courtesy of Brandon Isralsky. Image courtesy of Quinn Tivey.